Later this month, Batman v Superman: Dawn of Justice will mark the first time that the Caped Crusader and Man of Steel cross paths on the big screen, but it’s by no means their first story together. Both heroes have been in the comics for over 75 years, and for almost that whole time they’ve had frequent adventures together, whether it was in a World’s Finest team-up or as teammates on the Justice League. Despite their differences, they’ve proven to be effective partners in the battle for justice, though conversely there have also been moments where they’ve been more than down to fight each other. Both dynamics are finally being realized in live action, much to the excitement of many fans. Now that they’re finally being paired together cinematically, we thought we’d go over the main lessons that fans have learned from their shared stories in both the comics and other media. While Batman v Superman: Dawn of Justice is an original story, it’s obviously drawing heavily from the mythology of both heroes, so we can easily deduce some of the basics of how their first meeting will go, along with how two other players will fit into their story. Batman is a badass fighter, but it’s his tech that gives him an extra edge when taking on criminals. When fighting Superman, however, it’s not enough to just use some Batarangs and smoke bombs. Just look at the New 52’s Justice League #2 as proof. No, in order to combat the Kryptonian, he has to improve his arsenal, and this is usually through advanced armor to boost his strength and make it so he can endure Superman’s punches. 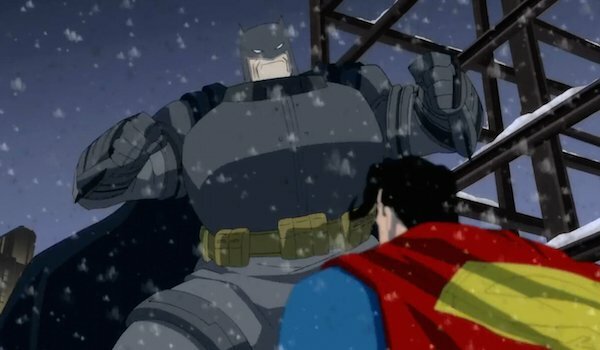 The best example is in The Dark Knight Returns, when the 55-year-old Bruce Wayne put on that massive armor and went toe-to-toe with Superman, who was still at the top of his game despite also being older. Ben Affleck’s Batman will don a similar suit when fighting Henry Cavill’s Superman to help even the odds. 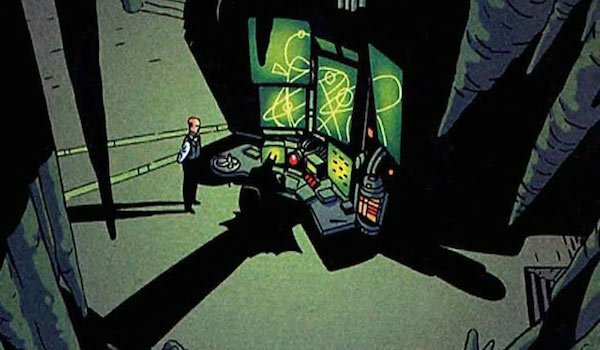 Occasionally Batman has also relied on devices that harness the same radiation as a red sun, thus taking away Superman’s abilities, but armor that typically been the key weapon…well, aside from this next entry. Anyone who’s ever heard of Superman knows that Kryptonite is his primary weakness, which means that Batman obviously has to get his hands on the green rock. The Dark Knight saves his Kryptonite for if Superman goes rogue or is mind-controlled, and the amount he has varies from a small chunk to enough to fit into two gauntlets. Unfortunately, various depictions of how much Kryptonite weakens Superman make it so that the rock doesn’t always guarantee Batman will have the upper hand with it. Take Batman: Hush, for example. 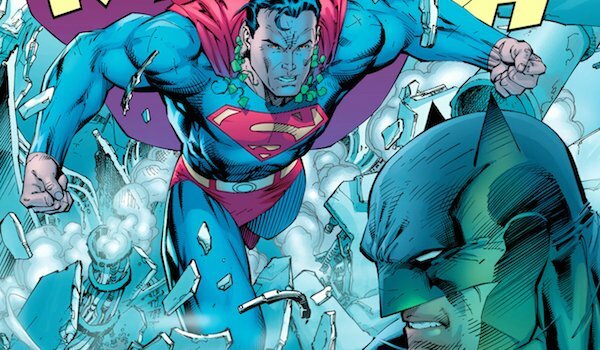 Batman wore a Kryptonite ring while battling a mind-controlled Superman, and while each of Batman’s punches with that ring hurt Superman, they didn’t incapacitate him. So while some stories may show Superman falling to his knees in the presence of a small piece of Kryptonite, a lot of stories just show the rock weakening him a more human level. That means that Batman’s Kryptonite spear in the movie is definitely a great weapon to have, but it won’t automatically make him the victor. On the other hand, that massive chunk of Kryptonite Lex Luthor keeps in his office has us concerned. 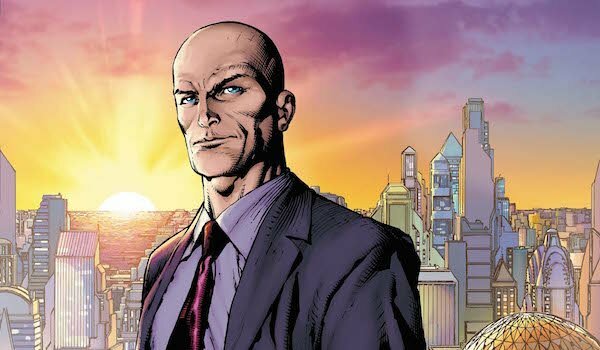 There’s a reason why Lex Luthor is one of the greatest super villains of all time. While his main nemesis is Superman, he poses a threat to almost every superhero in the DC universe. So it’s no wonder that in many of the stories where Batman and Superman have teamed up, Lex Luthor is the one giving them trouble. 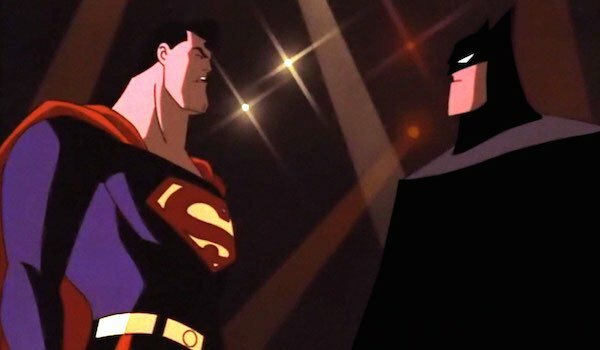 For instance, the heroes’ first meeting in the DC Animated Universe had Lex Luthor and The Joker team up to kill Superman, though eventually they had to turn their attention to Batman as well when he arrived in Metropolis. There’s also the animated movie, Superman/Batman: Public Enemies, where the newly-inaugurated President Luthor succeed in unleashing super villains and a few superheroes at the duo. Jesse Eisenberg’s Luthor is just the latest iteration to antagonize Batman and Superman together, and like his other selves, his scheming will force the two titans to eventually work together. During the Silver Age of Comics, Batman and Superman were depicted as being the best of friends. They agreed on everything, they were both cheery, they loved to hang out with each other, etc. In the modern era of comics (i.e. since the 1980s or so), that hasn’t been the case, as their differences have been highlighted in their team-ups and Justice League stories. Superman follows the rules and is a figure the majority of the public loves. Batman operates in the shadows and will do whatever it takes to take down criminals, no matter how brutal. As you can expect, this has led to them clashing many times over whose method is more effective for fighting the bad guys. Fortunately, despite their different ideologies, the two have built a unique partnership, and that’ll be the same case in the movie one their fight is out of the way. I guess it’s true what they say: opposites attract. Batman is one of the few superheroes who doesn’t have any special abilities, which makes what he’s been able to accomplish even more impressive. As mentioned earlier, he’s a talented fighter and has a lot of cool gadgets at his disposal, but perhaps his greatest weapon is his mind. Aside from traveling the world and educating himself on a variety of subjects, Bruce Wayne has a naturally strategic mind. He’s always hatching battle plans in his head, and his most passionate fans love to use the term "prep time" when talking about how he can overcome any challenge. That’s debatable, but what isn’t is that the Caped Crusader would be plotting how to fight Superman should the need arise. That’s why he’s been able to hold his own in their battles. Batman doesn't rush head first into a confrontation, he plan his moves before the whole thing kicks off, from hiding weapons to analyzing Superman’s weaknesses. Kal-El may have the powers, but Bruce knows how to play chess…well, his version of it, anyway. Batman, Superman, and Wonder Woman make up DC’s Trinity, so it’s no wonder Diana was included in Batman v Superman: Dawn of Justice. Obviously Wonder Woman hasn’t appeared in every Batman/Superman story, but she shares a close relationship with both of them, whether as friends or occasional romantic interests (see Superman/Wonder Woman and the Justice League animated series). In addition to their Justice League stories, the three of them also starred in the Trinity series last decade, working together to neutralize unusual threats. 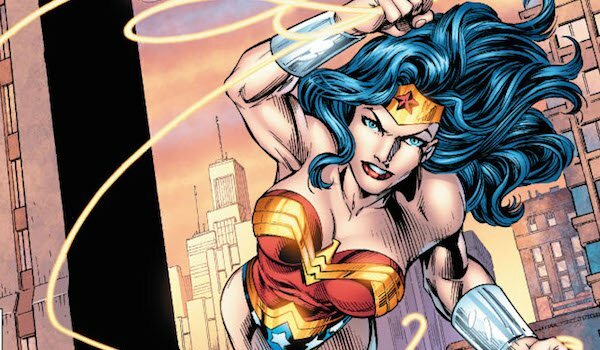 Because she has her own unique outlook, Wonder Woman has served as the mediator several times whenever Bats and Supes find themselves in a disagreement. Sure, the Amazon warrior has occasionally taken action that her cohorts didn’t agree with (see Superman/Batman: Apocalypse), but she also provides perspective that the two of them sometime can’t see on their own. She’ll do the same in Batman v Superman: Dawn of Justice, where it appears that she plays a hand in getting them to stop their bickering and focus on more important things, namely defeating Lex Luthor and Doomsday.